WASHINGTON – Gov. 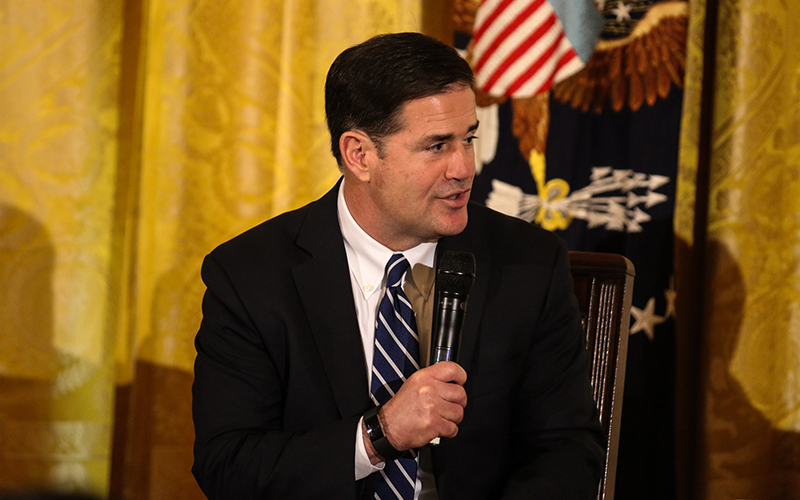 Doug Ducey told a White House audience Monday that border officers put their lives on the line to defend residents of Arizona, which he called an “epicenter” of human trafficking and drug cartel activity. 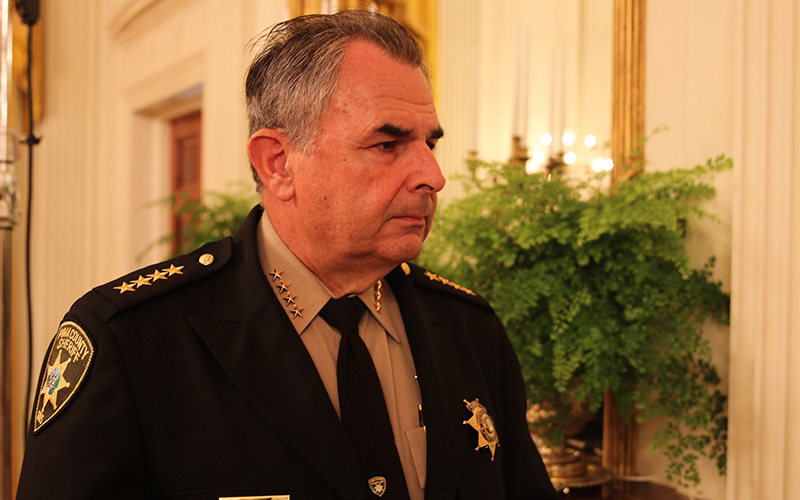 Ducey and Cochise County Sheriff Mark Dannels were part of a panel in the East Room of the White House that was packed with scores of uniformed immigration and border agents, as well as local law enforcement officials, including Pima County Sheriff Mark Napier. “The cooperation with federal partnerships to deal with transnational crime is really paramount to us because it really has an adverse impact on public safety in my county,” which has a 125-mile border with Mexico, Napier said after the event. The White House event comes as some Democrats have called for the abolition of ICE in the wake of outrage over the Trump administration’s policy of separating immigrant families at the border. A House bill introduced last month said the agency has strayed far from its original mission of combating terrorism in the aftermath of the 9/11 attacks, and calls for a study of how its responsibilities can be divided among other agencies. Trump said he hosted the event to give recognition and support to an agency that goes underappreciated. Ducey said he believes border patrol should be a concern for everyone, not just those from one party or another, and not just those who live on the border. 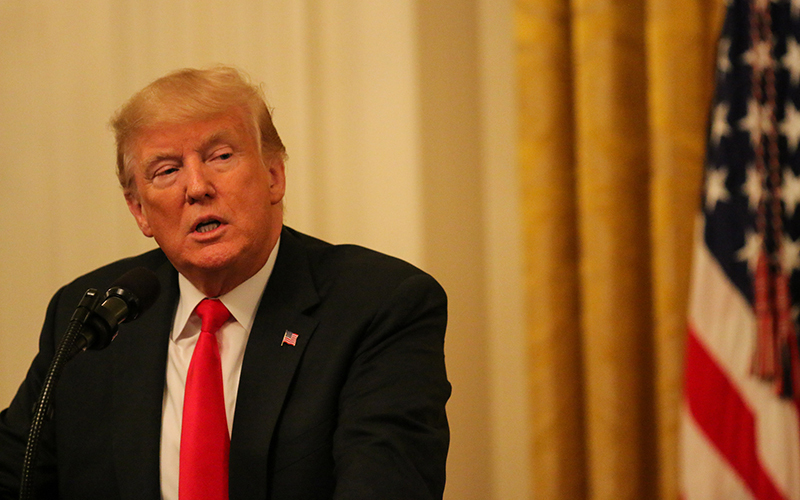 He said the Arizona Department of Public Safety and sheriff’s departments across the state have already partnered to create a border strike force, and that the Trump administration’s support of border control gives Arizona a friend at the federal level as well. Dannels and Napier both agreed that partnership is key when it comes to securing the border. Napier said the federal-local partnership is essential for information sharing, resource sharing and fiscal support for the sheriff’s departments. Dannels said the state’s border task force includes 10 National Guardsmen working with the county sheriffs. Without this collaboration, he said, the border would be at risk. Cronkite News reporter Charlene Santiago contributed to this report.